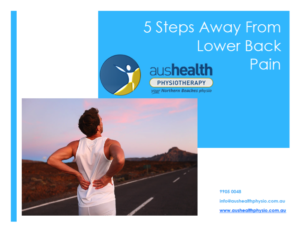 07 Sep 5 Steps From Back Pain! What you MUST stop doing right now to stop making your Back Pain worse. The 60 Second self Physio assessment you can do at home (or work) to see if you need to call the Pros.